Kelley Klean is certified by the IICRC in carpet cleaning with extensive commercial experience. From small apartments to large residential homes, we can clean all styles of carpet. 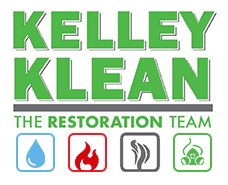 Established in 1986, Kelley Klean has achieved a solid reputation through hard work, quality craftsmanship, and providing 100% satisfaction rates to its customers. When you pick up the phone to call Kelley Klean, you are choosing a company who can successfully clean and maintain your residential carpets. If you are interested in learning more about our residential carpet cleaning services or would like to see if setting up a maintenance plan is for you, give us a call at 573-214-0990. When you install carpet in your home, it can be a significant investment. It is essential for proper maintenance in order to keep it free from dust, grime, and stains. Over the past 30 years, we have seen all sorts of damage to residential carpets. Here are a few tips to keep your carpets looking great, while protecting your investment at the same time. Depending on the volume of traffic, if you have pets, kids or other special circumstances, it is wise to professionally clean your carpets every 12-18 months. During these cleanings, embedded dirt can be extracted, and carpets returned to a fresh, new, state. When you choose Kelley Klean for your carpet cleaning, we will send out qualified technicians who will select the correct cleaning technique for your carpet. Upon completion, you can be assured your carpets will be renewed, refreshed and revitalized for the next year. It is highly recommended by carpet manufacturers alike to regularly vacuum your carpets. By doing so, you can prevent pilling, extreme dirt build-up and capture any dust mites or particulate that settle into your carpets. The industry recommendation is to vacuum daily; however, if you do not have the time, make a point to vacuum at least 2-3 times per week. This way, you can capture any loose dirt that may have tracked in from the previous day. In order to maintain the integrity of your entire carpet, it is wise to shift your furniture around if possible. Heavy furniture such as couches, tables and chairs, can leave dents in the carpet. If not addressed correctly, this could cause the carpet to snag and tear prematurely. The best way to remove such dents would be to take a coin to straighten the pile, or gently moisten the area and steam clean the spot to return the area back to its original condition. Anytime you notice a snag in the carpet, simply use a curved set of scissors to trim it. At Kelley Klean, we advise you do not pull, since this will cause greater damage to the carpet overall. If you have decided it is time to give your residential carpets a good scrub, give Kelley Klean a call. Established in 1986, we have the experience required to quickly and effectively clean your carpets. When you choose us, we use only the state-of-the-art techniques that will ensure your carpets stay cleaner for a longer period of time. At Kelley Klean, we are dedicated to providing you quality workmanship, 100% satisfaction and trained technicians on every job. To learn more about how we can routinely keep your carpets looking new, or simply provide you a one-time clean, give us a call at 573-214-0990!